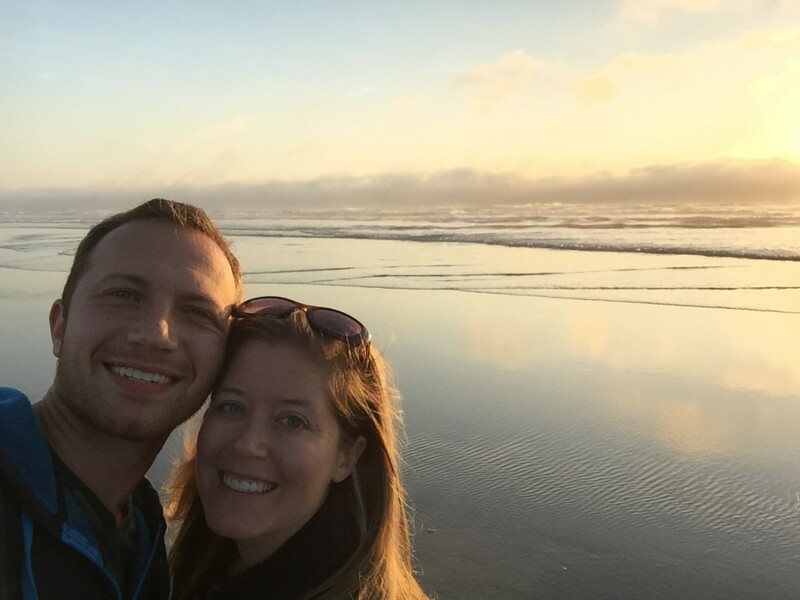 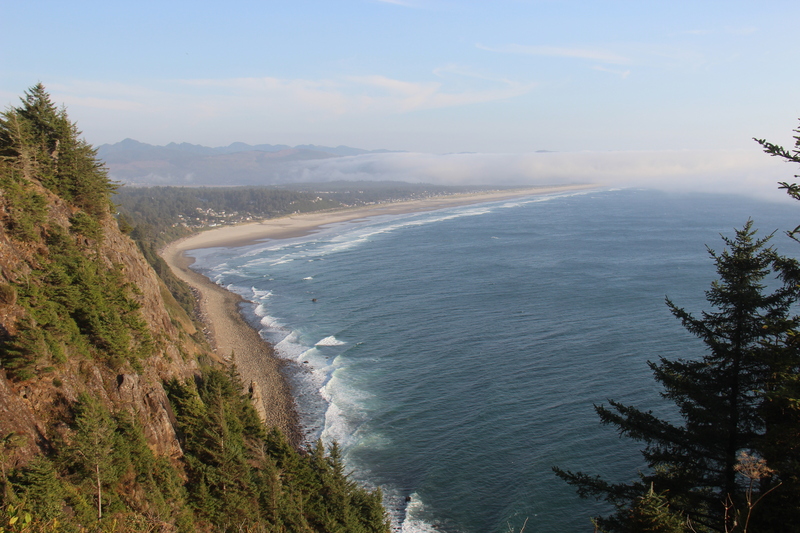 The Oregon Coast is filled with beautiful towns, and it would be easy to spend an entire week (or more) exploring them all! 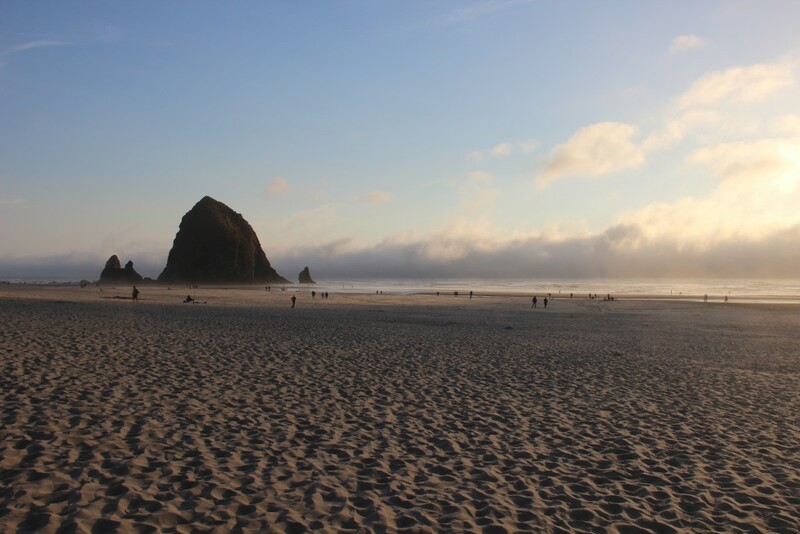 We only had one day though, so here are a few of the top spots that made our list that you should consider, too! 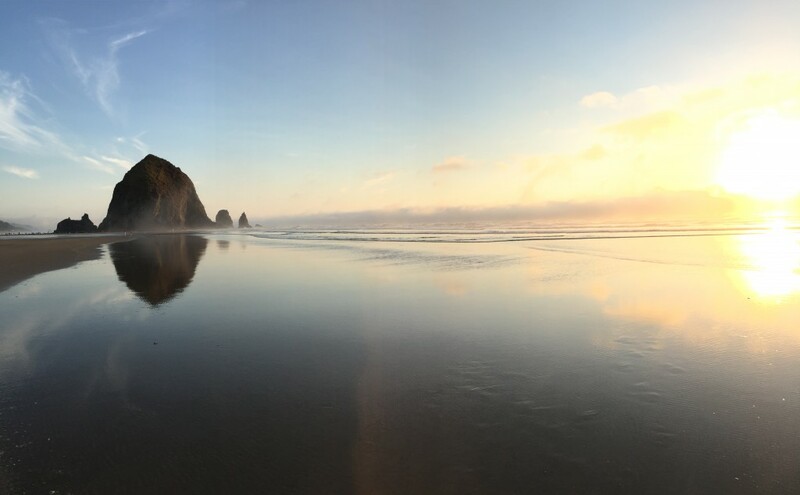 We’d spent the past two days at Crater Lake exploring Wizard Island, so our day started with an early morning drive out to the coast. 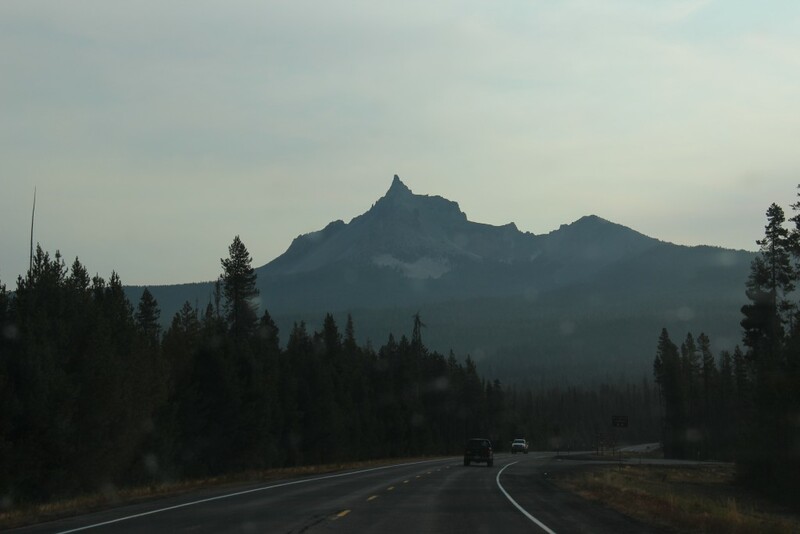 It was a little tricky planning our route out of the park because of all the forest fires in the area. 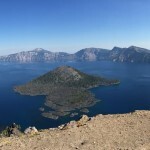 Crater Lake is beautiful and I can’t recommend it enough if you’re planning a trip to Oregon, but it is pretty much in the middle of nowhere. 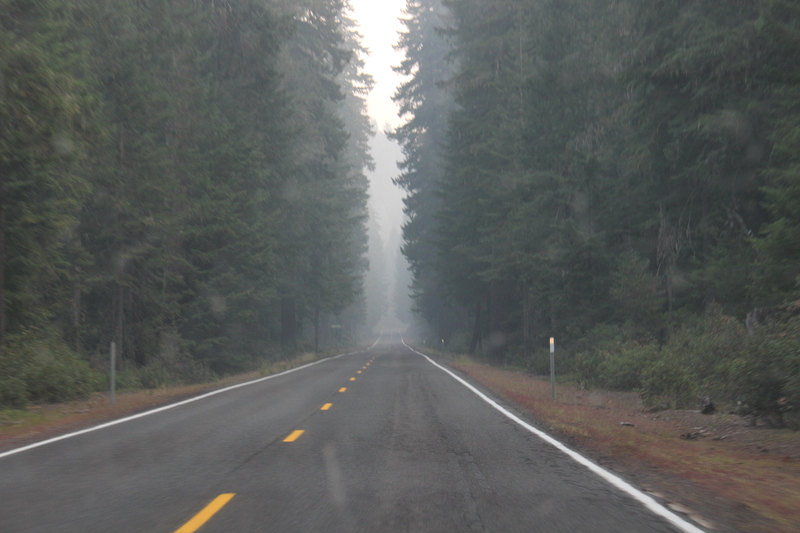 There aren’t many roads leading to the park, so we ended up not really having a choice but to go through an area of the park where the fires were. 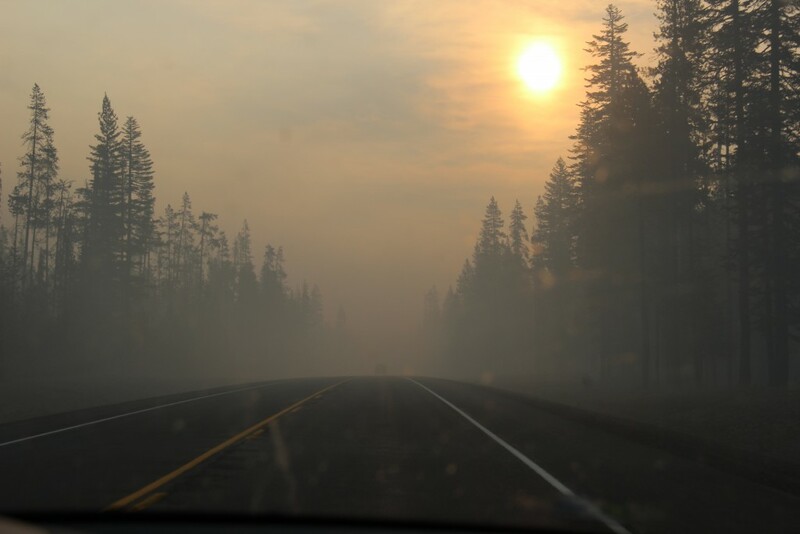 It was a little creepy driving through a few areas where the smoke was pretty thick. We got one last look at Mt. 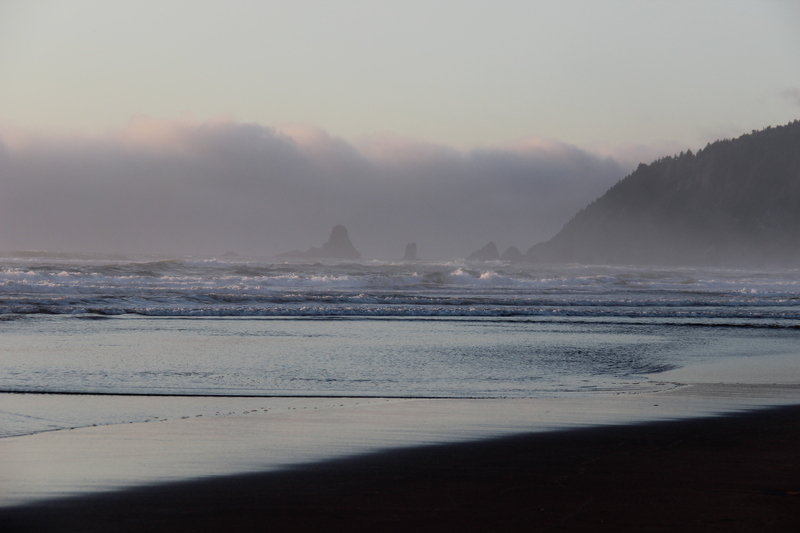 Thielson before turning west and heading out to the coast. 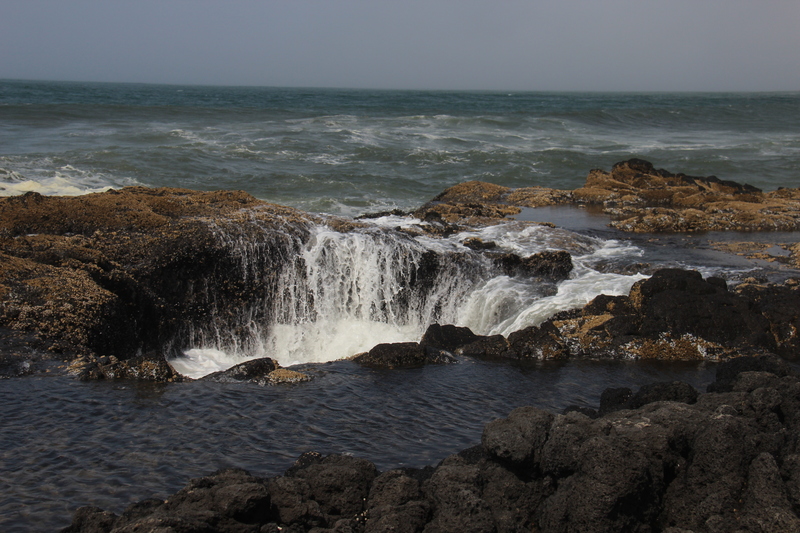 Our first stop along the coast was at Cape Perpetua Scenic Area. 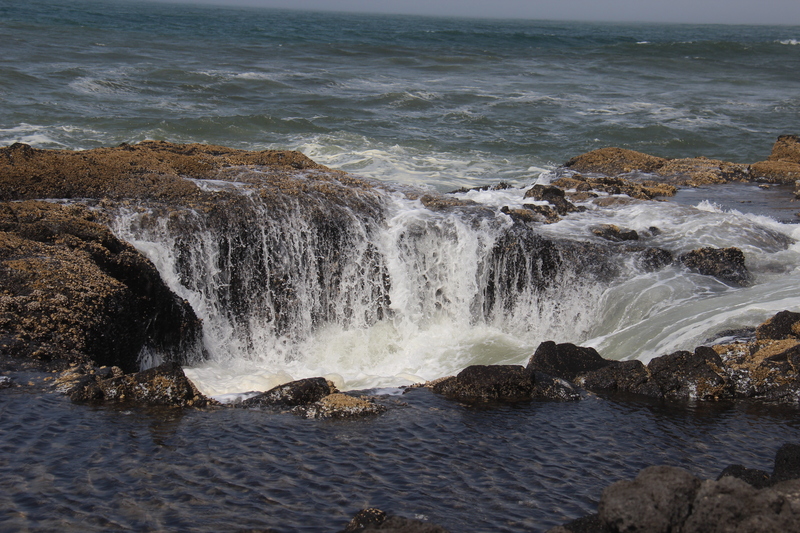 Cook’s Chasm is a gorgeous area along the highway with lots of tidepools and cool rocks. 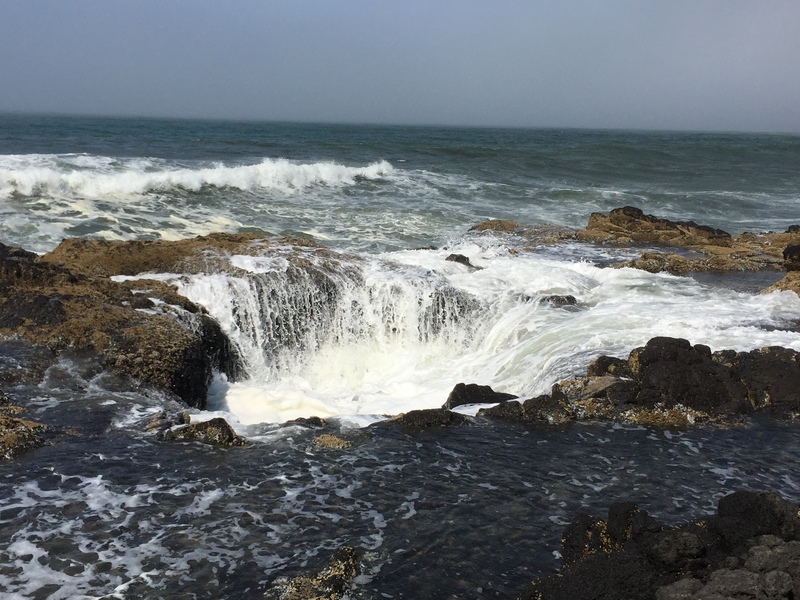 I’d seen pictures of Thor’s Well, and we were excited to see it in person! 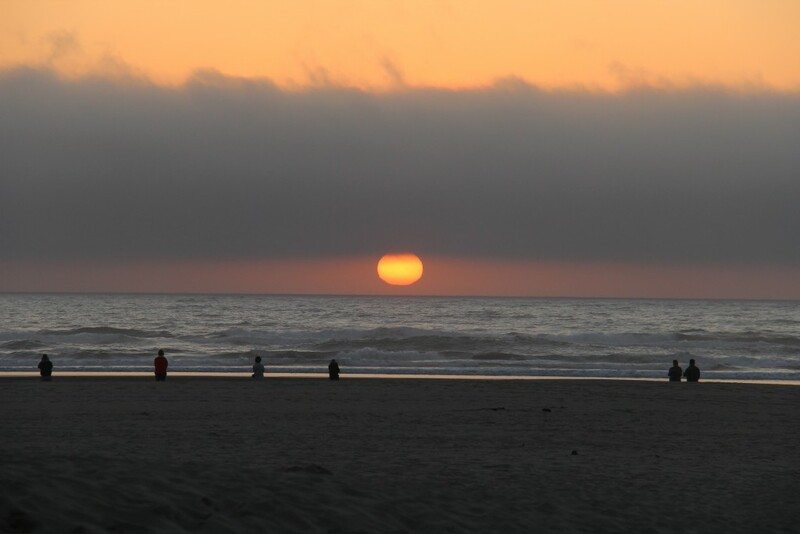 The best time to view it is an hour before to an hour after high tide. 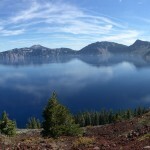 Unfortunately because of our long drive and the detour around the fires at Crater Lake, we ended up arriving about 45 minutes after high tide, so at the very tail end of the peak time. It wasn’t quite as impressive as some of the photos I’ve seen, but we did enjoy watching it for a while! 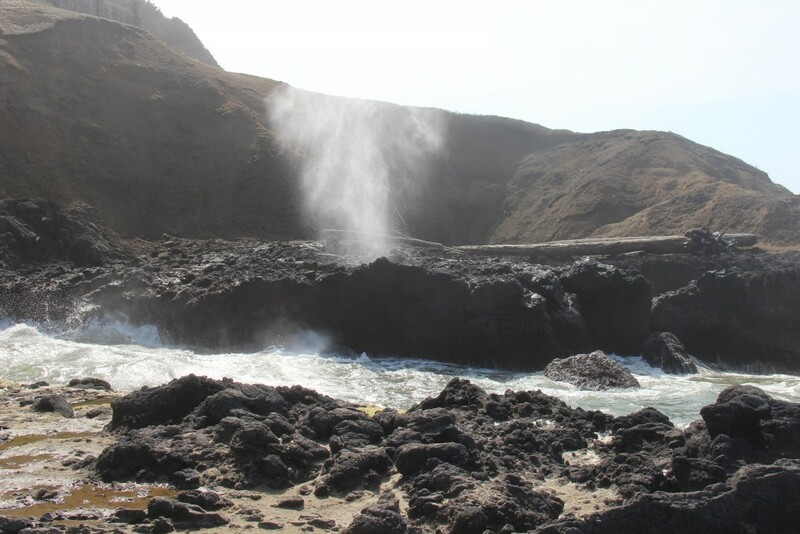 Here’s Spouting Horn – when the tide comes in just right, it creates a spray of water coming out of the rocks! 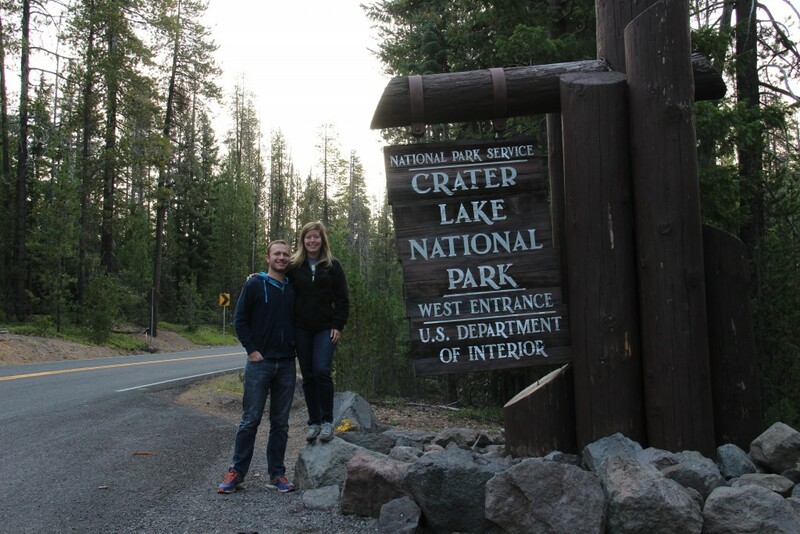 After our long drive from Crater Lake, this was the perfect place for us to stop for a while and stretch our legs. 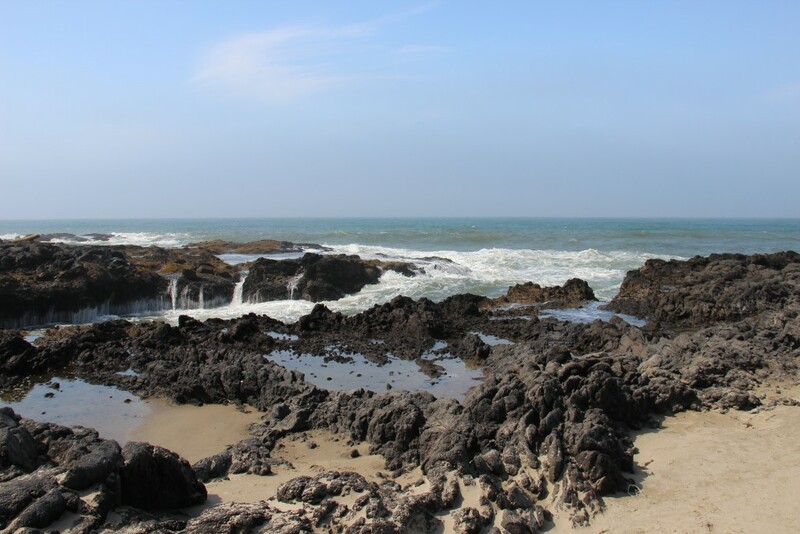 There’s plenty to see and explore all around this area of the coast! 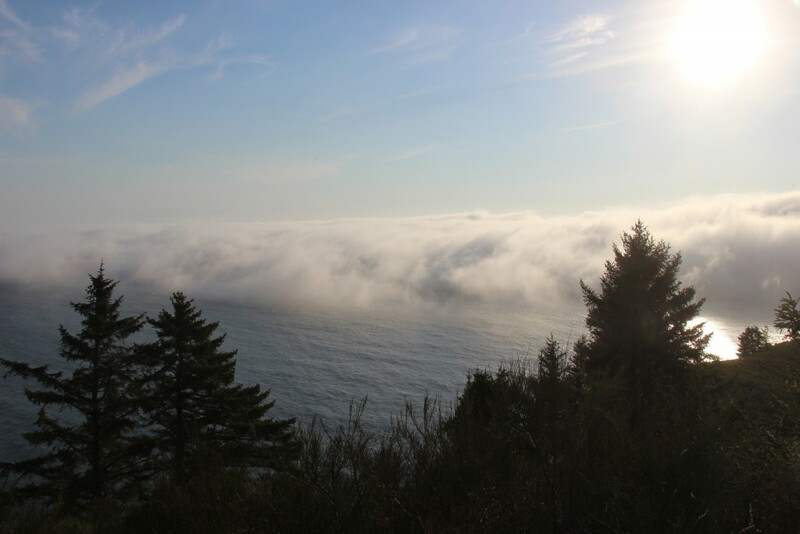 The weather kept alternating between being sunny and beautiful to cold and foggy. 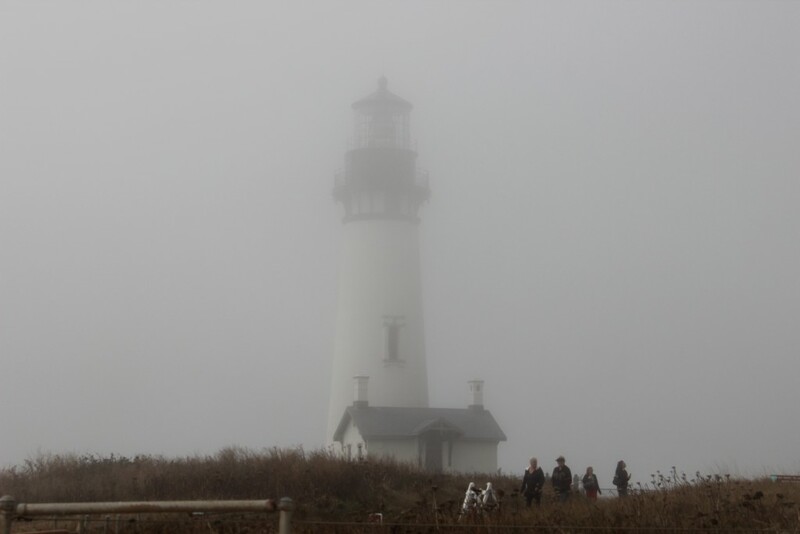 One of our stops along the coast was at Yaquina Head Lighthouse, but unfortunately, this was all we could see of it. 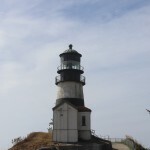 The lighthouse was built in 1873 and at 93 feet is Oregon’s tallest lighthouses. 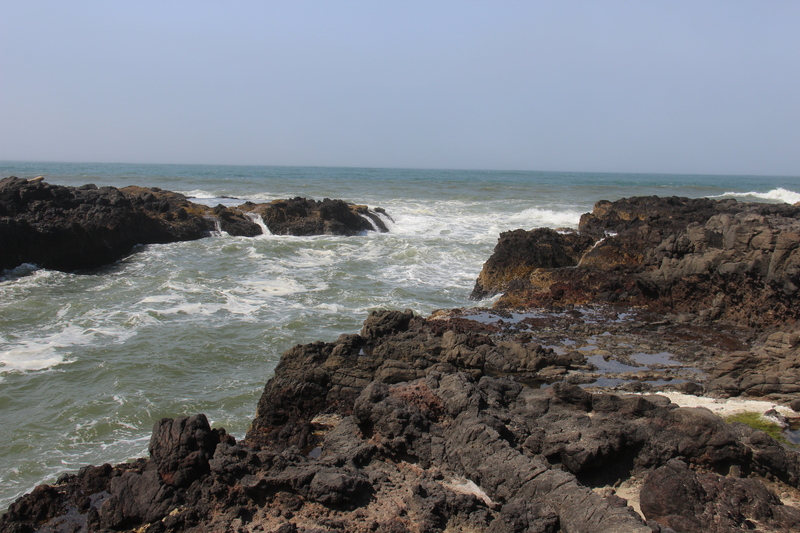 We didn’t have time for more than a quick stop here, but the Marine Science Center and the Oregon Coast Aquarium are also in this area, which would be great to visit if you have more time! 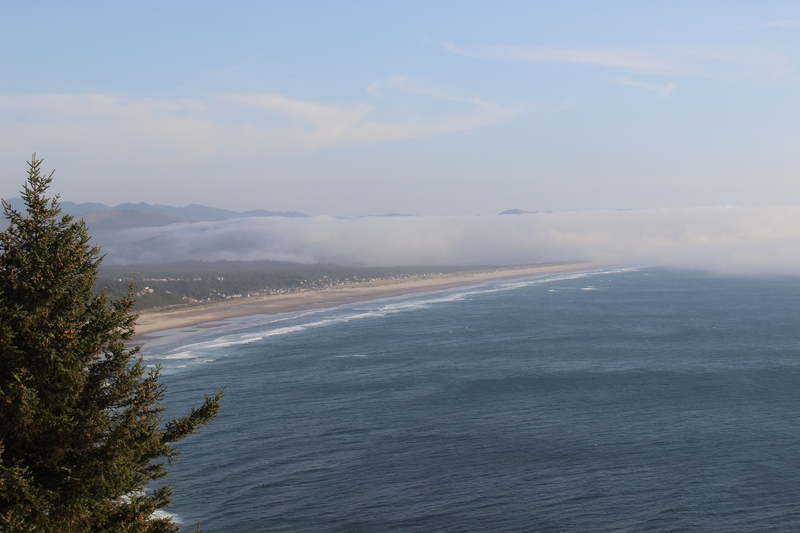 We stopped at this viewpoint along the highway to watch the clouds roll in. 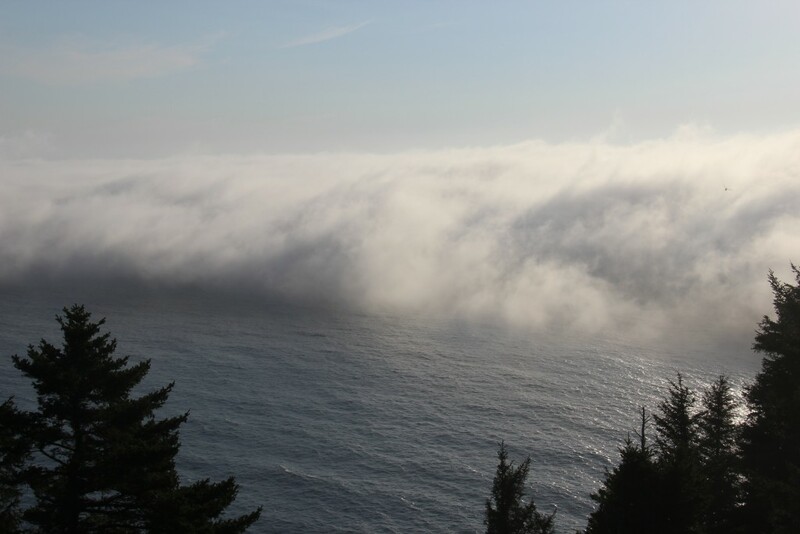 It was a little eerie seeing this wall of clouds heading toward us! 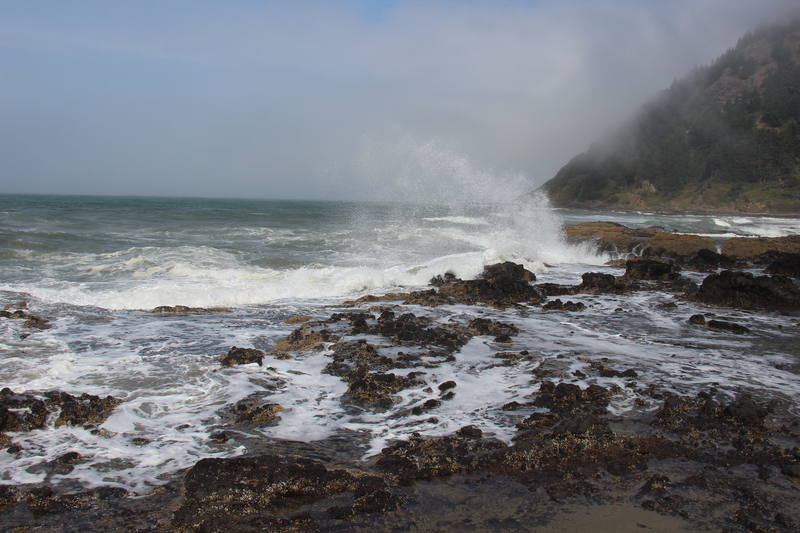 This was one of my favorite stops along the coast! 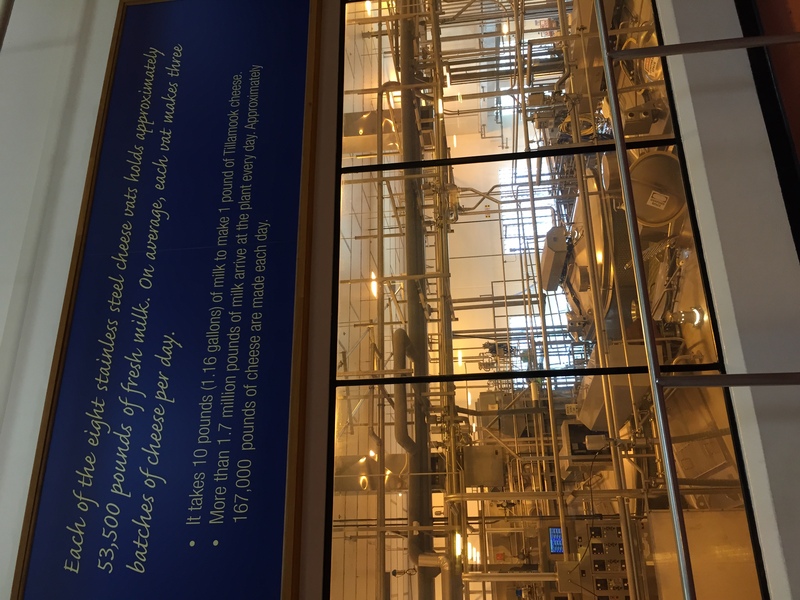 We’d heard about the Tillamook Factory from a few different friends of ours, and we were excited to stop for the tour. 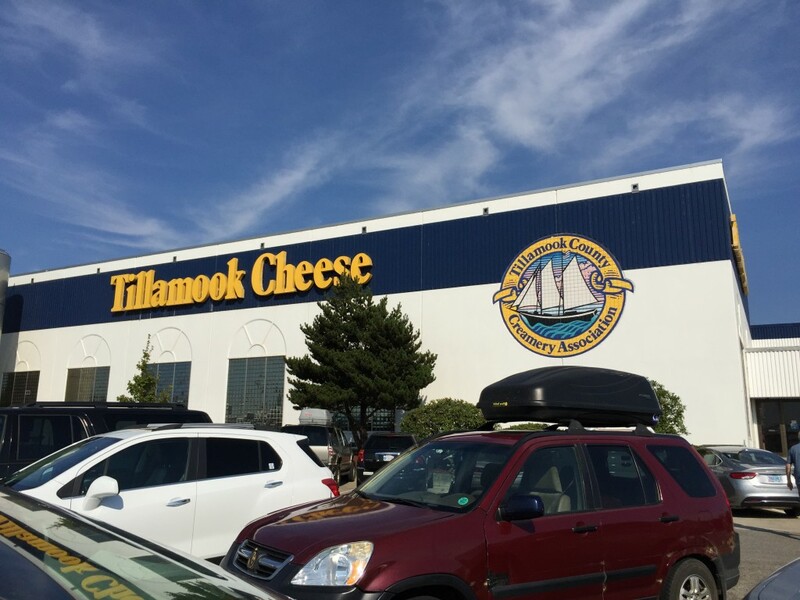 For those of you who aren’t from the Pacific Northwest, Tillamook is a local company that has THE BEST cheese and ice cream! 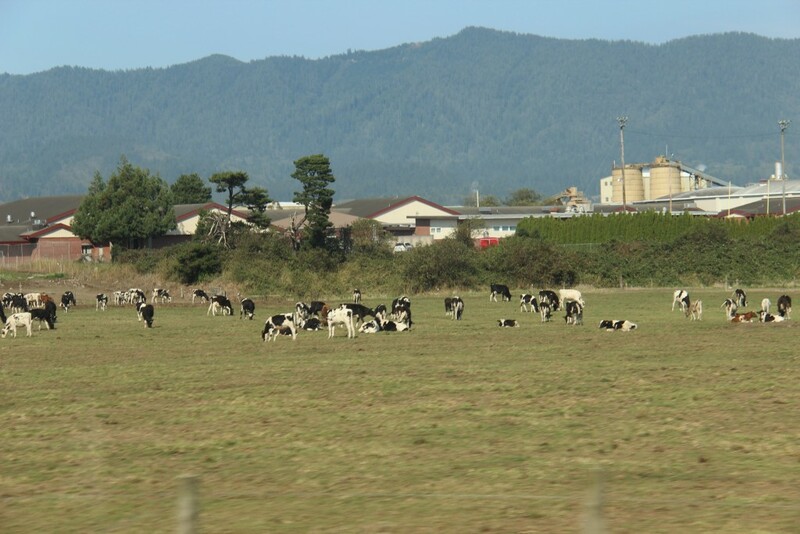 Here are some of the Tillamook cows! 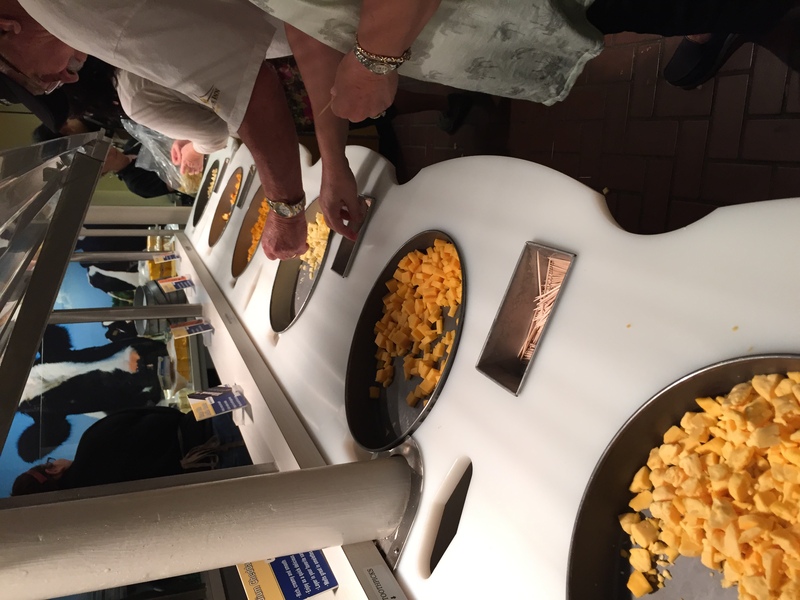 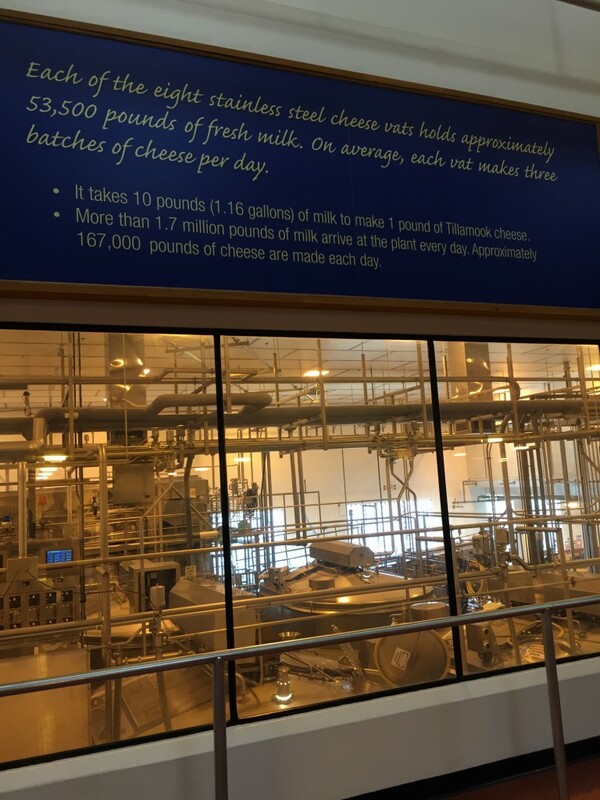 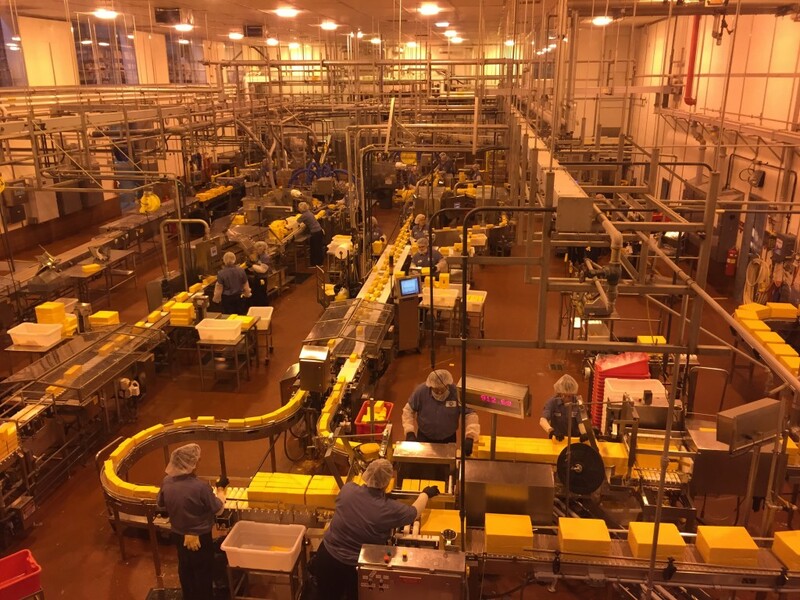 The building is set up to give you a view of the entire process of making and packaging their cheese. 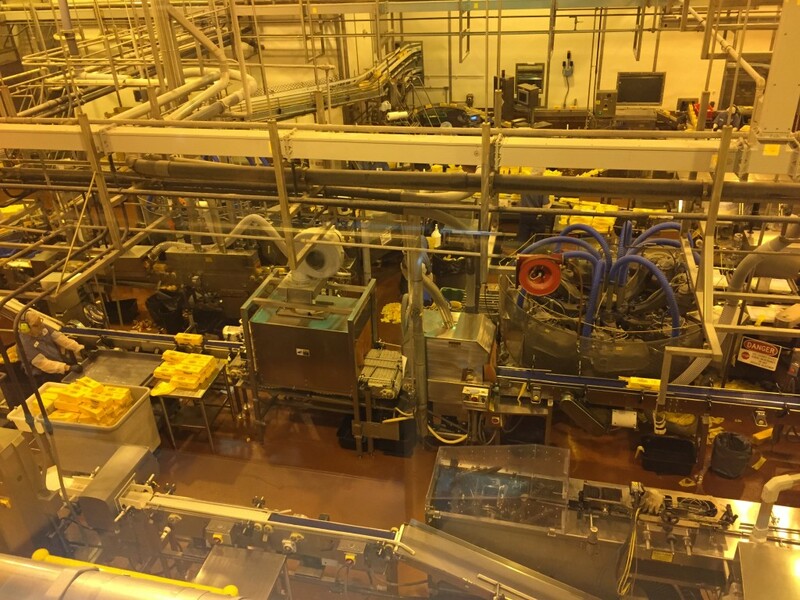 It really was quite fascinating to see the entire assembly line. 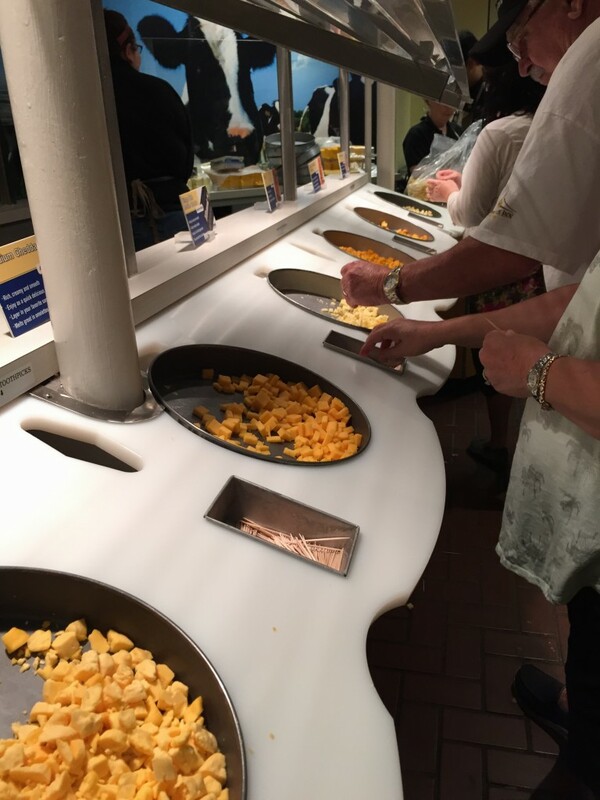 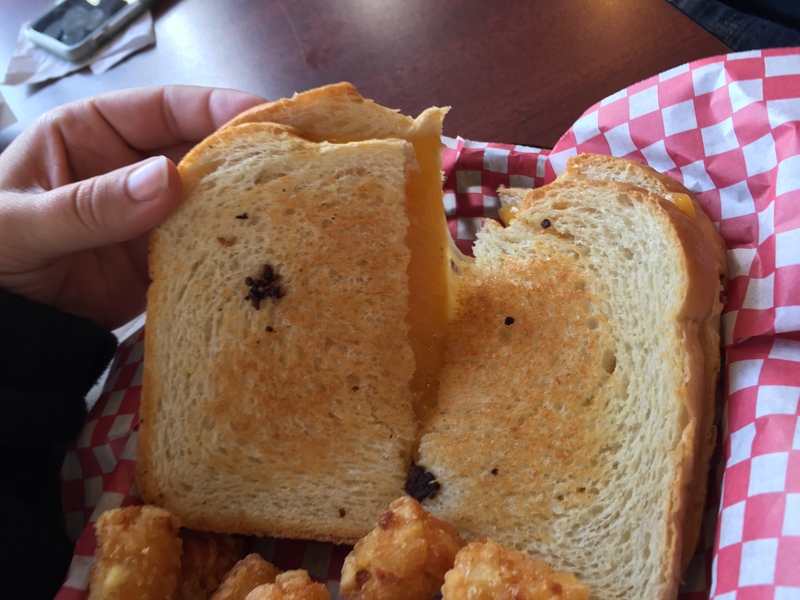 The best part was getting free cheese samples! 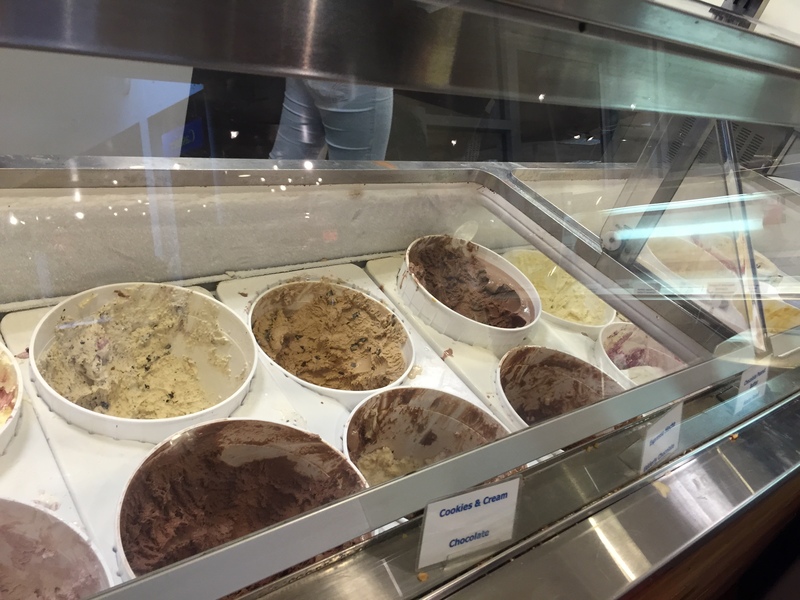 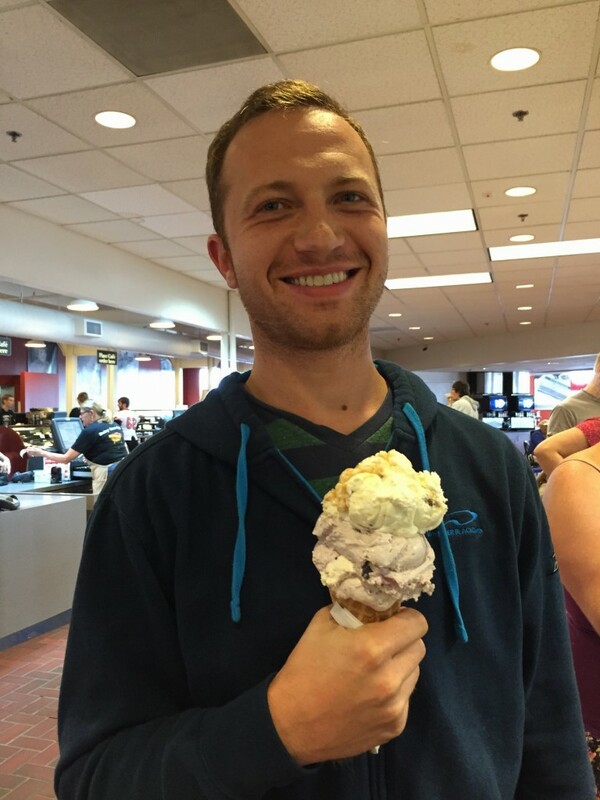 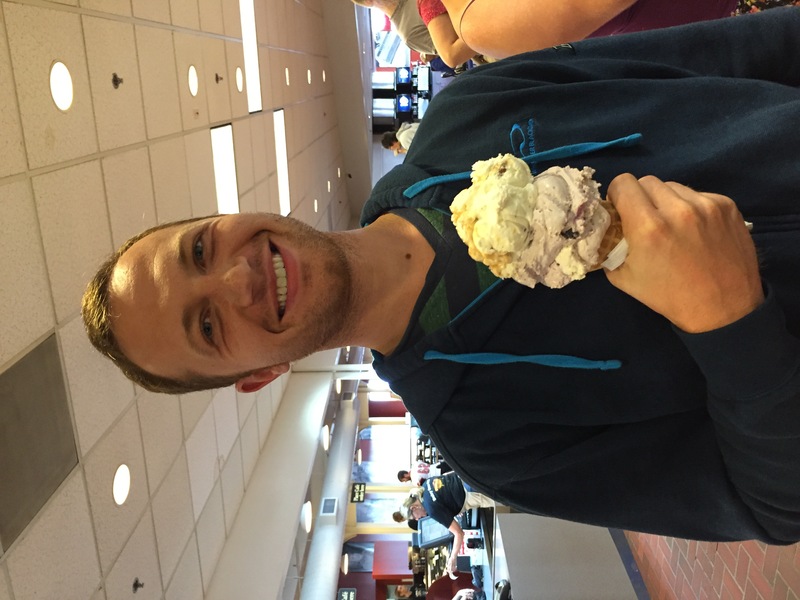 …and of course some ice cream too! 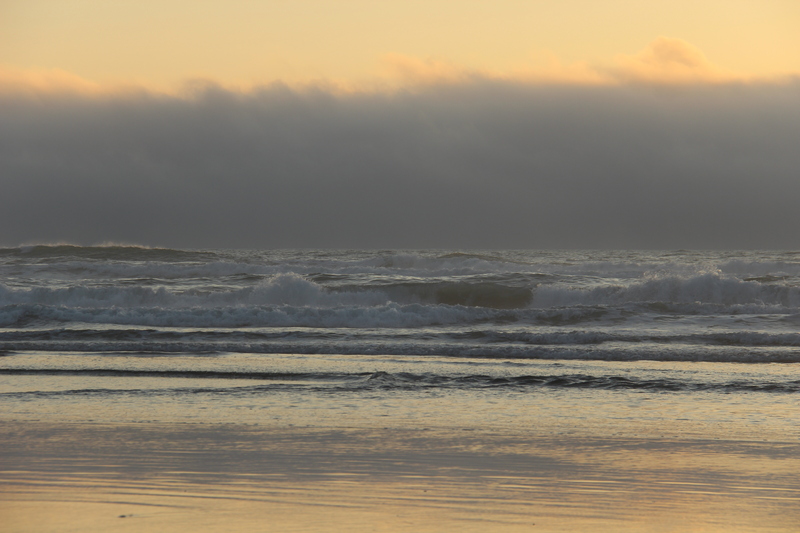 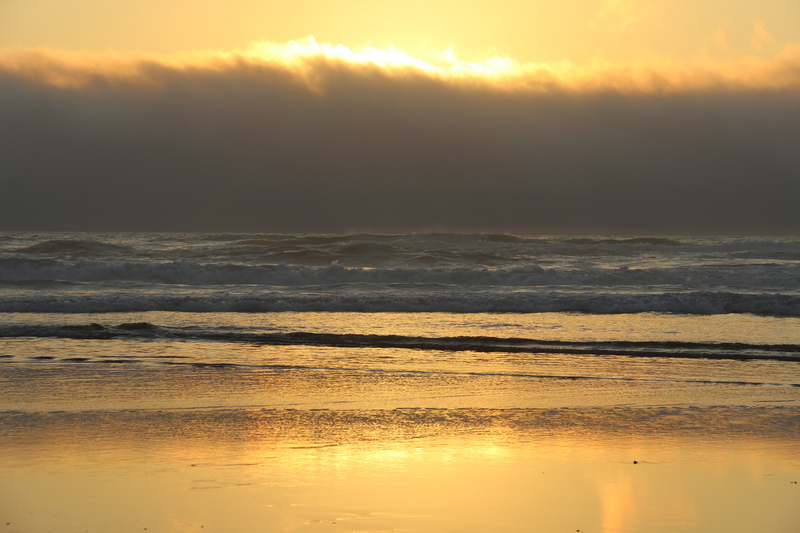 We arrived in Cannon Beach just as the sun was setting, which made for a perfect end to the day. 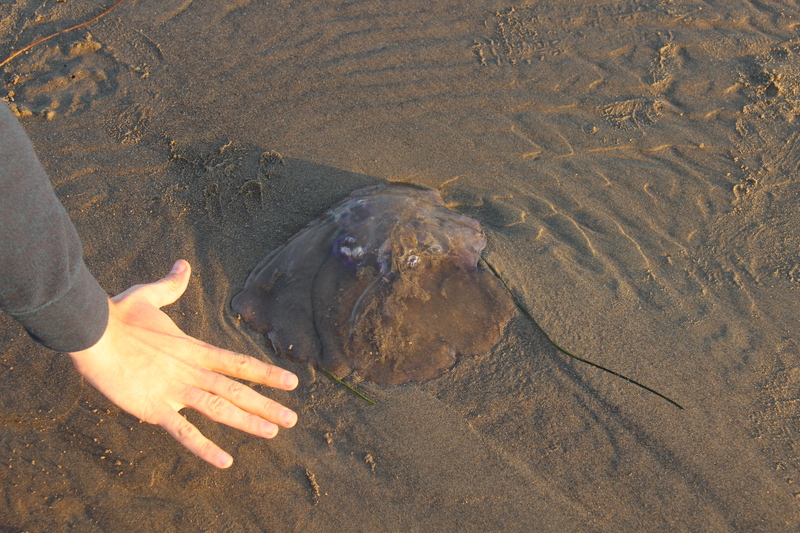 J found a giant jellyfish! 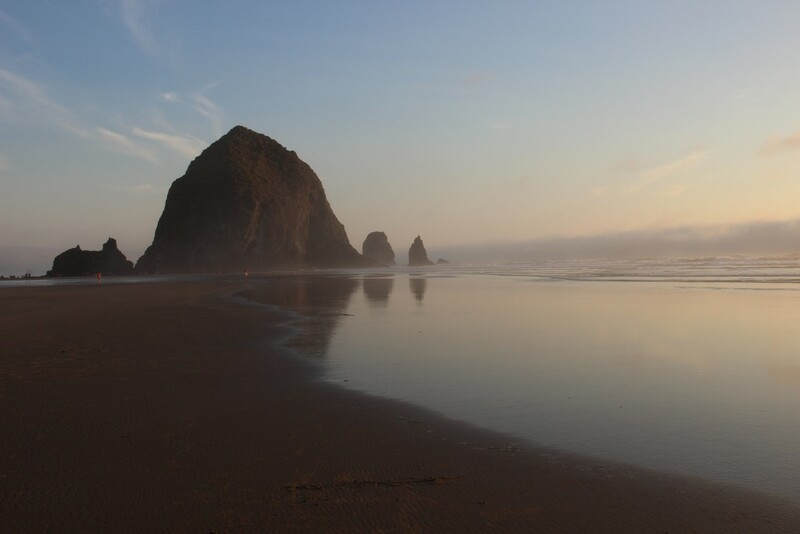 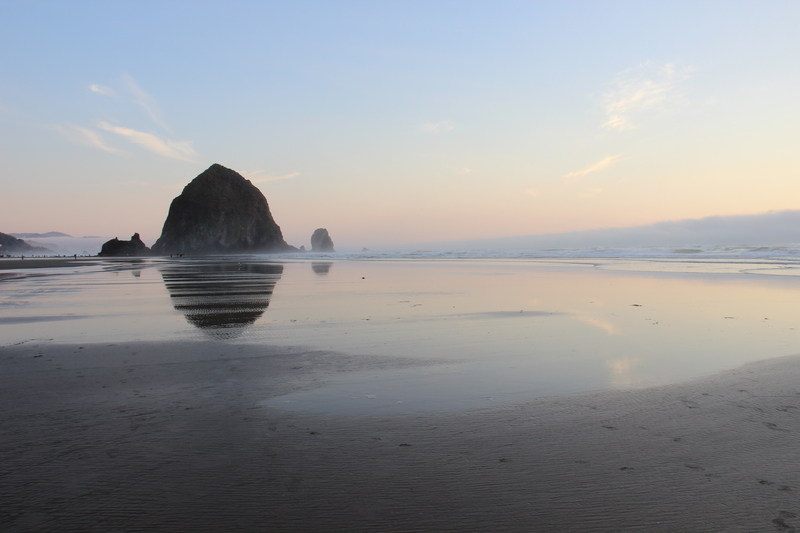 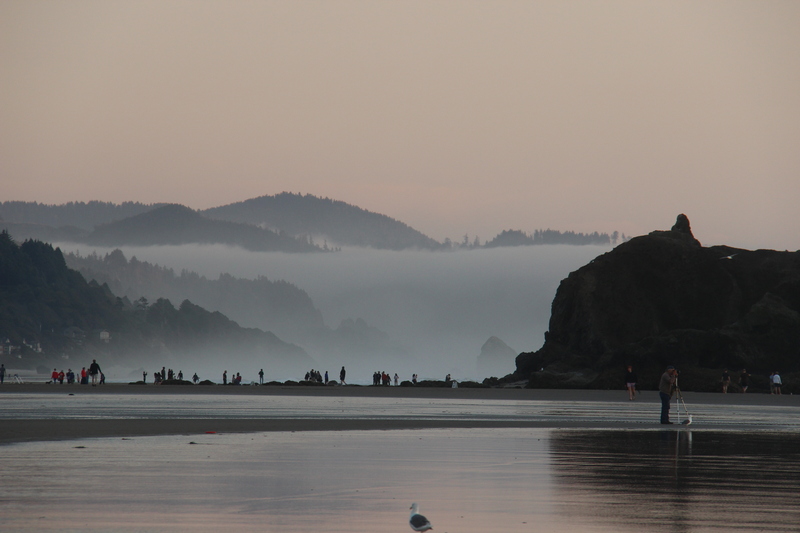 Cannon Beach is best known for Haystack Rock, which stands 235 tall and is home to many seabirds and tidepools. 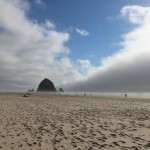 It’s a pretty impressive sight! 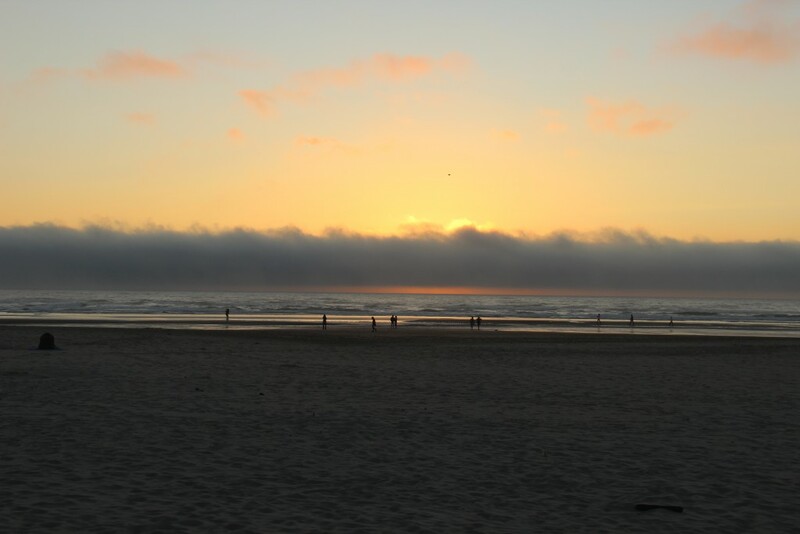 I loved just spending some time just strolling along the water watching the sun go down. 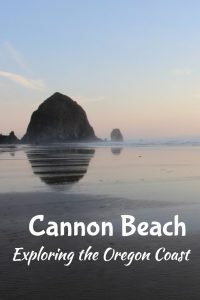 We had another full day planned at Cannon Beach, so check back next week to read all about it! Planning your own trip to Oregon? Check out these posts for more inspiration! 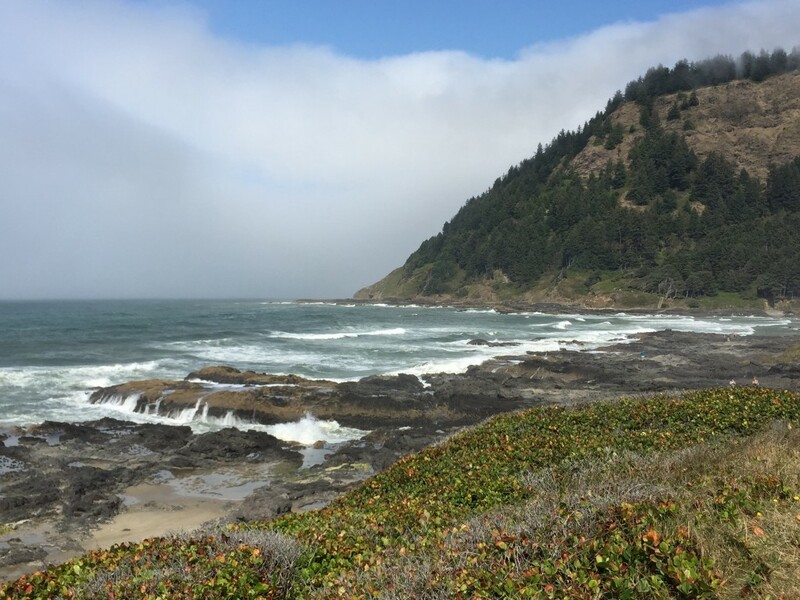 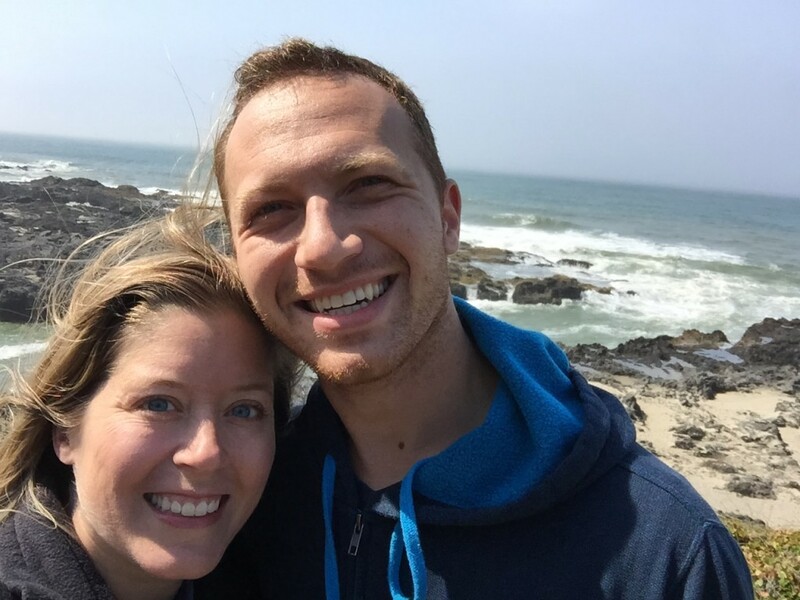 My boyfriend and I are planning a trip down to Portland/Oregon Coast/Crater Lake the first week of October so I have been scouring your posts to see what we should do – so helpful! 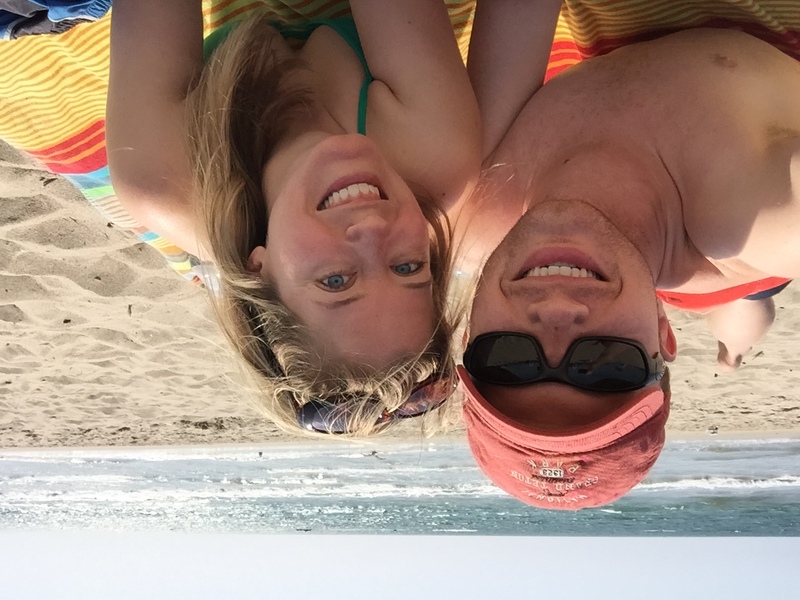 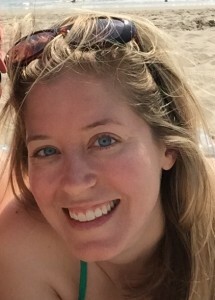 I do have a question…what did you pack? 🙂 Especially, what shoes did you wear to walk around on the wet sands? I feel like rain boots would be ideal but I’m not trying to pack those big bulky things, haha!